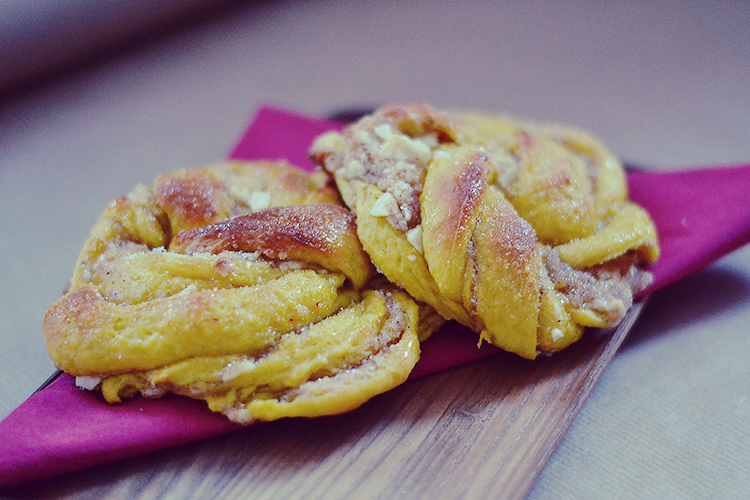 Saffron buns are a must at Christmas time in Sweden. And we’re pretty serious about our buns. 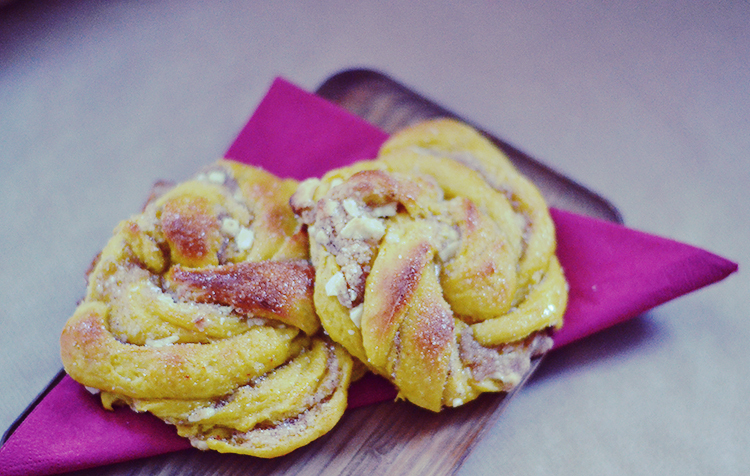 Everyone has their own special tricks that claim to make the best, most fluffy and tasty saffron buns in all of the land. 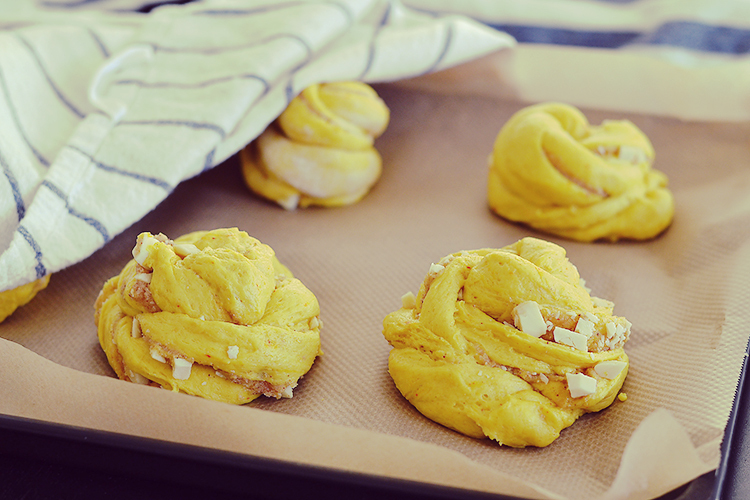 No matter what anyone else is saying, this right here is most likely, probably, and with very high certainty the best, most fluffy and tasty saffron bun recipe in all of the Swedenland (and possibly the world). Did I mention they’re filled with white chocolate and almond paste too? Bonus points right there. Be ready to put your muscles to work, unless you’ve got one of those fancy kitchen assistants that’ll do the kneading for you. 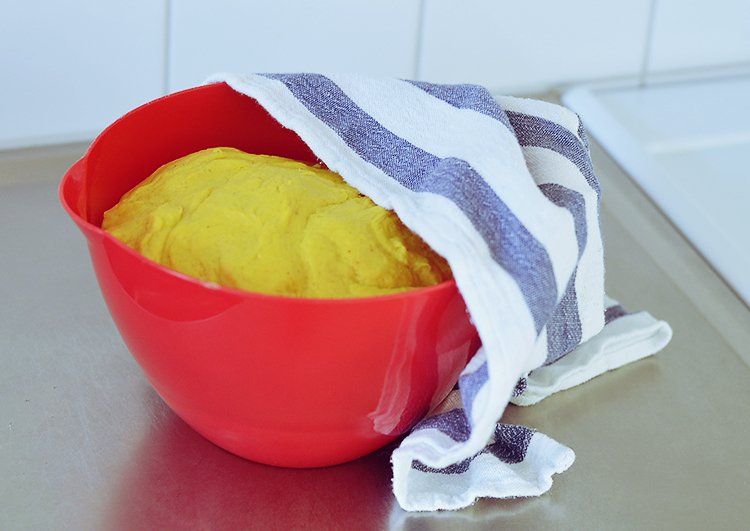 The dough should be kneaded for a good 10 minutes. 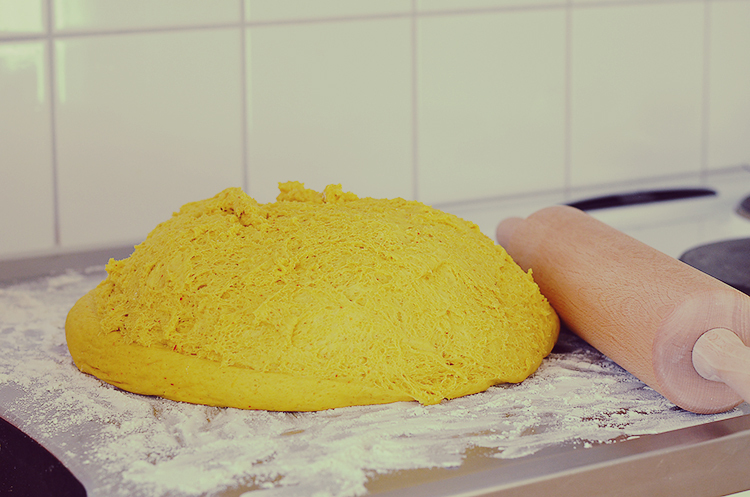 Set the dough aside to rise and watch the magic happen. Boom! Doubled in size. 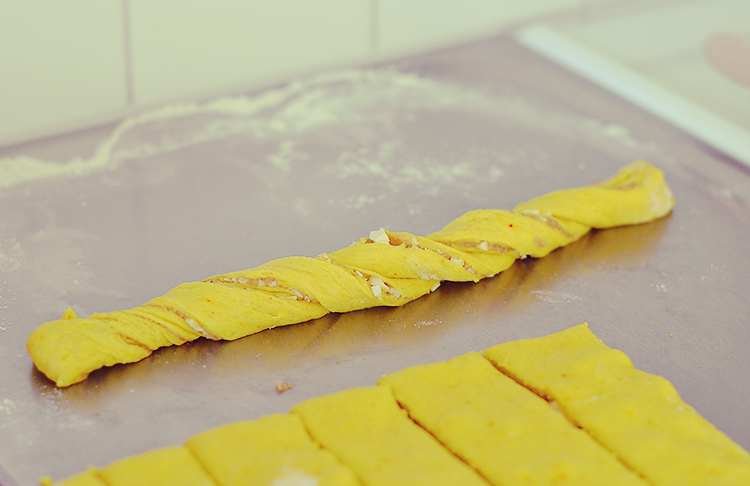 Roll half of the dough out at a time and spread the almond paste filling on half of the rectangle. Top that with a sprinkle of white chocolate. Are you beginning to understand how amazing this is going to be? Fold over the dough, cut into slices and then cut a slit through each piece, like a pair of pants. Roll each piece, moving in opposite directions on each end. 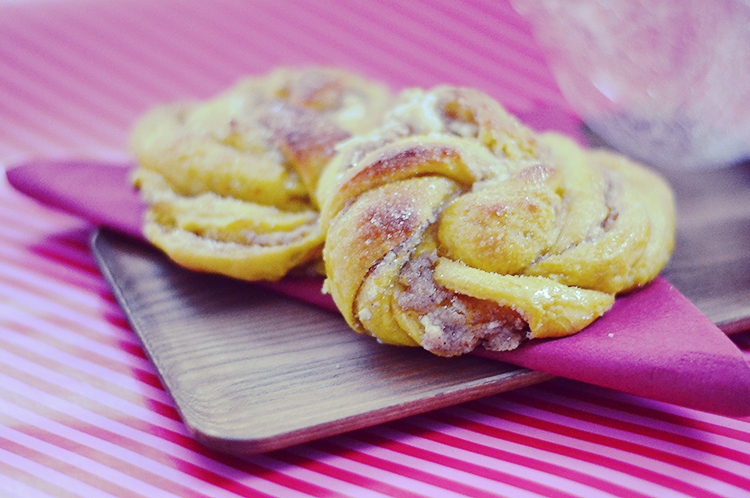 Then swirl the dough around itself to create a pretty bun, tucking the end underneath. Time to let them rest for another 40 minutes. Patience my dears… I promise it’ll be worth it. Golden brown and freshly baked, brush the buns with syrup mixed with some water and sprinkle with sugar. Now, have at it! Crumble the yeast in a big bowl. Heat the milk together with the saffron until finger warm, pour it over the yeast and stir lightly until the yeast has dissolved. 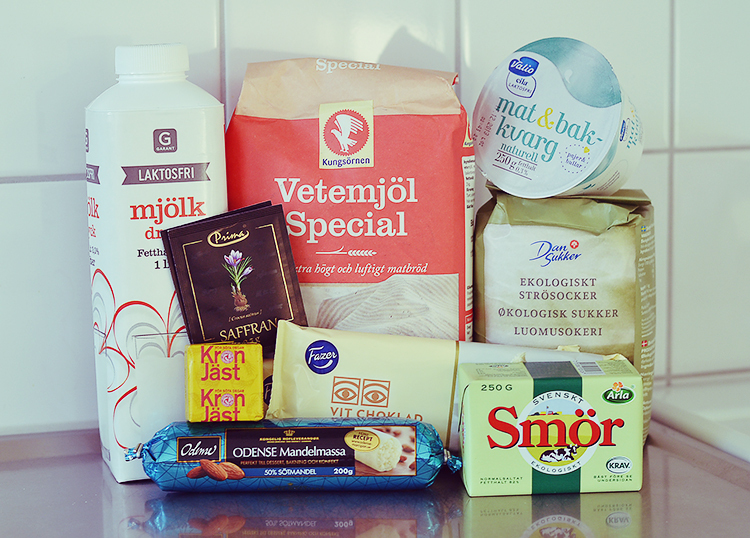 Add kesella (quark/curd), sugar and salt. Stir until combined, then start adding the flour. I usually do about 10 dl / 4 cups to begin with, mixing in the bowl, then dump it out on a clean surface and add the remaining flour. The dough will be very sticky at this point. Last, add the softened butter and knead it into the dough. Keep kneading for at least 8-10 minutes until you’ve got a smooth and elastic dough. 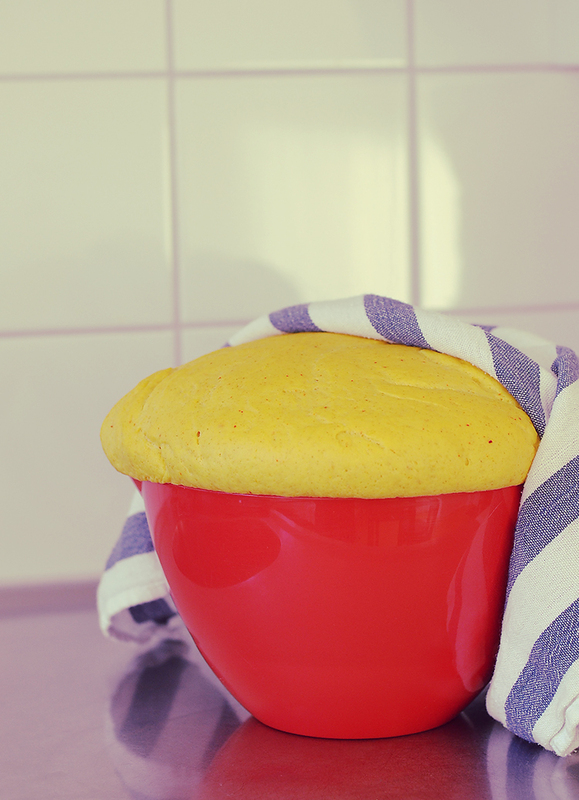 Place the dough in a bowl and cover with a clean towel. Set aside in a warm area and allow to rise for 1 hour. 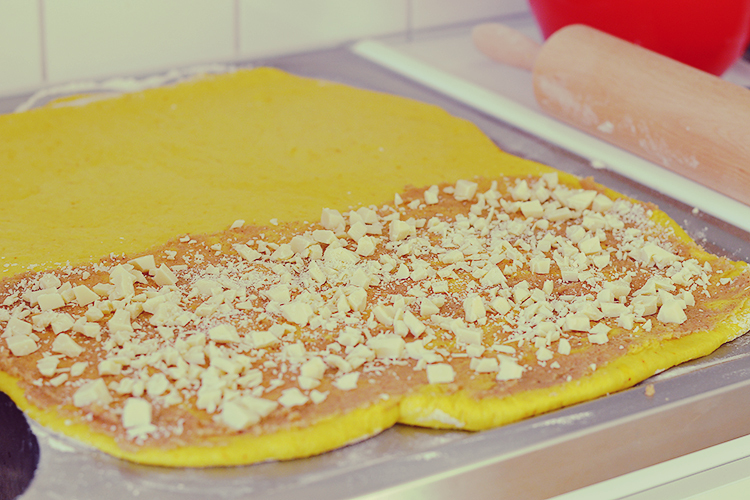 While the dough is rising, make your filling: grate the almond paste and add it to a medium sized bowl. Add the sugar and vanilla extract, mix until combined. Then add softened butter and cinnamon. Beat until you have a rather thick paste. Set aside and chop your chocolate. 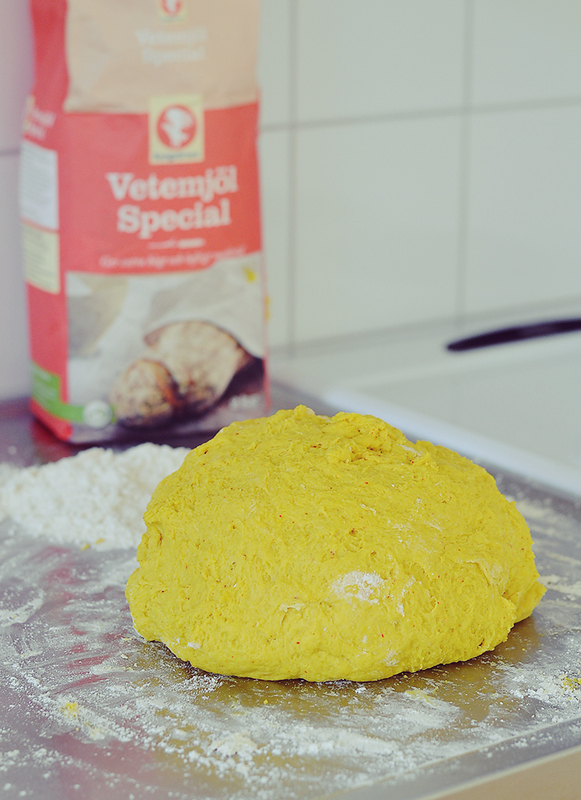 Once the dough has risen, pour it out onto a lightly floured surface and divide the dough in two. 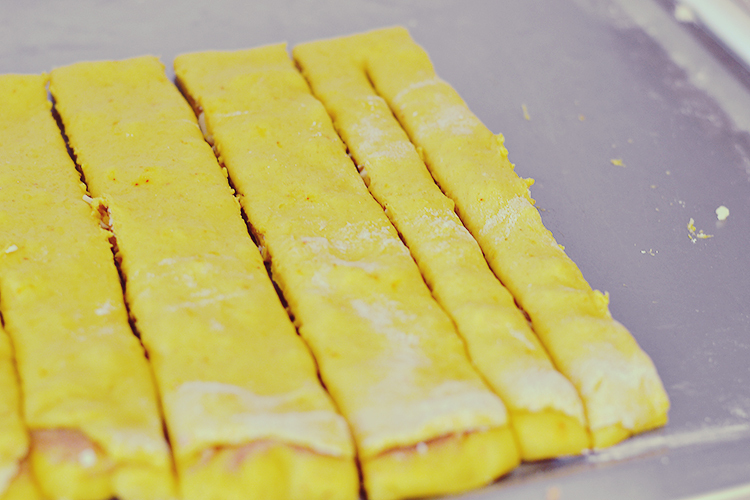 Roll one part of the dough out into a rectangle and spread the almond paste filling on half of the rectangle. Sprinkle half of the chopped chocolate over the almond paste spread, then fold over the dough. Slice into pieces and then slice a slit through each piece, leaving you with each piece of dough looking like a pair of pants (see photo above). Roll each piece of dough, moving in opposite directions on each end, then twirl it into a bun, tucking the end underneath the bun. (View photos above for clarity). Place the buns on baking trays lined with parchment paper and cover with a clean towel. Set aside to rise for another 40 minutes. Once the buns have risen, set the oven to 225 C / 437 F and bake them for 6-8 minutes depending on how big they are. They should be slightly golden on top. In a small bowl or glass, make the glaze by stirring together syrup with a little bit of water. 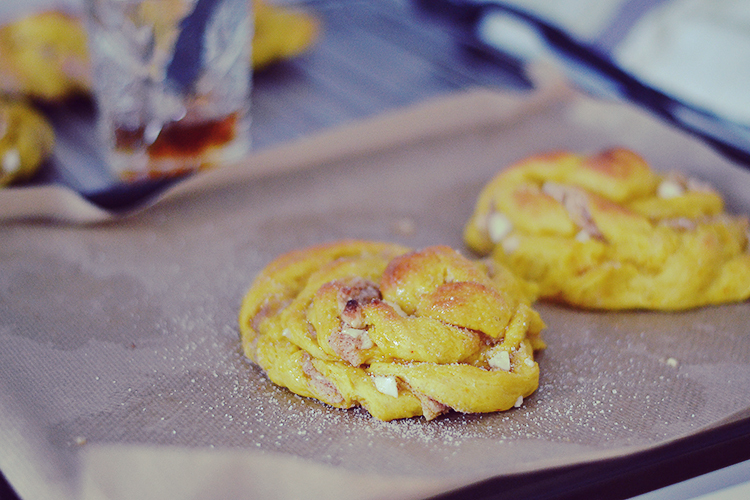 Brush the freshly baked saffron buns with the glaze, then sprinkle with sugar. Transfer to a wire rack to cool (right after you have one for yourself, warm out of the oven). Made these the other day – while they were delicious (well, the tops of them), they smoked up my oven/house because of the brown sugar. The bottoms were completely burned. Also within that 40 minutes of waiting for them to rise after assembling, the residual warmth from the dough melted the white chocolate. Not sure what I should have done differently – I may try them without the brown sugar in the filling next time and just put a bit more sugar into the buns. Oh no! I am so sorry to hear that! I know how much work goes into making these with all the rising time and everything, so I understand completely that you must feel devastated. I’m not sure what went wrong, it sounds like the filling seeped out of the buns causing the sugar and white chocolate to caramelise and burn. All ovens are different so perhaps the temperature was just too high for your oven and caused them to burn. If you try them again, I’d suggest you lower the heat and keep an eye on them the whole time, take them out as soon as they’re slightly golden on top. 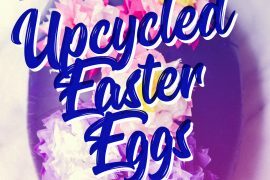 You might want to place them in paper cups too (like cupcake forms), that can help prevent the filling from seeping out and spreading.